Nature is the mother of all things. It is all around us, or at least it used to be. Nowadays, due to the infrastructure of huge cities, highways and industrial objects, unspoilt nature is rarely to be seen. It is still there if you try hard to find it though. It is, however, so easy to get lost in the everyday city life that you forget to give yourself and your senses a break. You make your eyes look into a computer screen for the majority of your day instead of letting them relax by looking at beautiful green grass and colourful flowers. 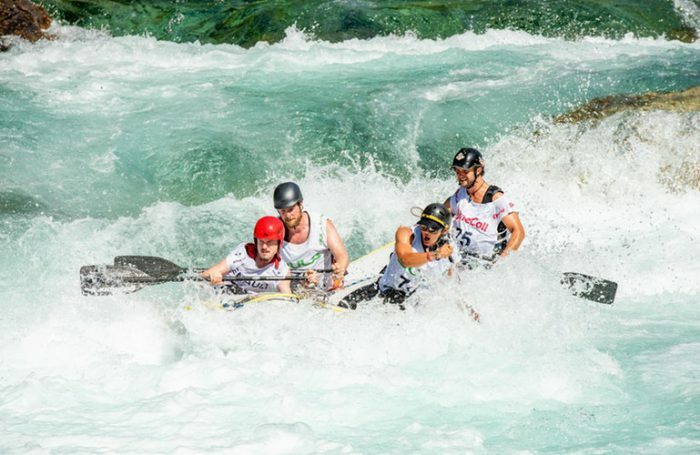 You sit in a chair or sweat in a stinky, closed gym instead of jogging through a nice field or go Bovec white water rafting through the crystal clear river Soča. You go to a water park, instead of having the experience of your life by going canyoning (Bovec, Slovenia) through the natural pools of water. Nature has so much to give, yet we often forget it is even there. Is it not Common Sense? Everyone knows about the benefits of going outside in nature. ‘We should go hiking this weekend,’ someone will say. ‘It’s the perfect day for Bovec white water rafting or for canyoning (Bovec, Slovenia),’ another will mention. Yet, despite everyone always wanting to go jogging, Bovec white water rafting and canyoning (Bovec, Slovenia), we rarely ever go. This is surprising because everyone knows that nature, fresh air and exercise is good for us. It’s great for our health, our stress levels and our general happiness. Knowing all these things, we still rather occupy the couch or stare into a computer screen. We should take advantage of the unspoilt nature, while it is still there because it is disappearing before our eyes.